If you are using this formula as a preventative give twice yearly for 3 consecutive days in a row. 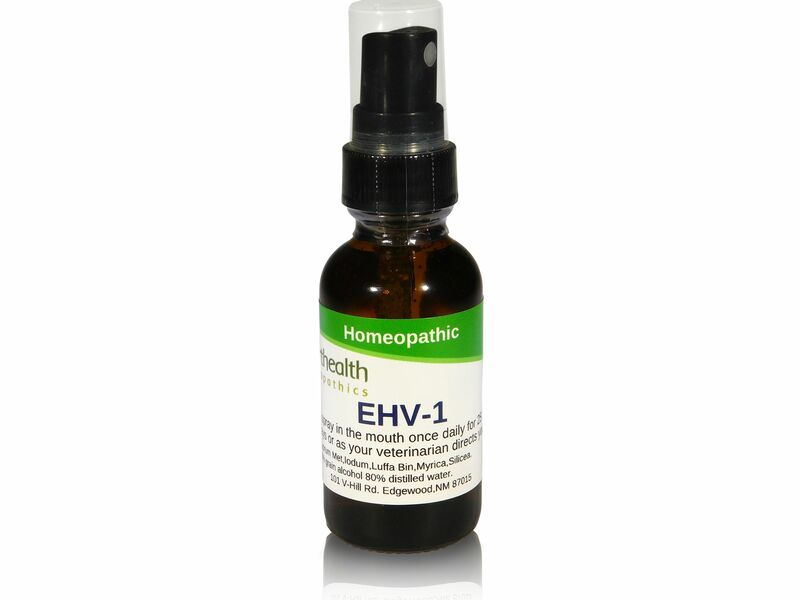 If you horse is infected with EHV-1 give 4-5 sprays into the mouth once daily for 25 days, you should start to notice a difference in about 8-10 days. Directions:4-5 sprays into the mouth once daily for 25 days,or as your veterinarian directs you. Non active ingredients: 80%distilled water 20% grain alcohol. Active ingredients : Cuprum Met,Iodum,Luffa Bin,Myrica,Silicea.